In correlation with the new movie, Gelish MINI and Morgan Taylor are launching their enchanting spring Beauty and the Beast 2017 collection, and it's absolutely stunning! This is so exciting because whether you're a gel polish fan or if you tend to stick to regular nail polish you can still rock this lovely collection. 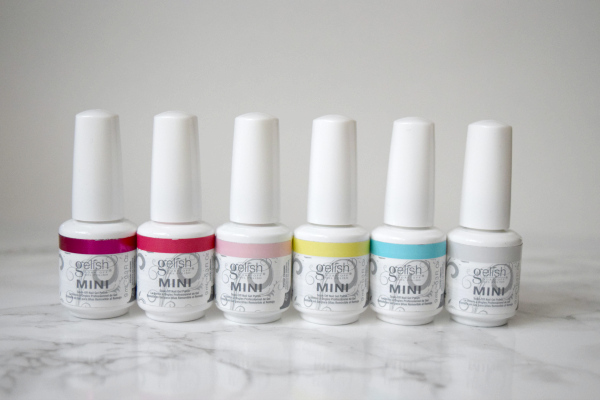 Everyone knows I'm obsessed with gel polish and I knew Gelish MINI wouldn't let me down. Remember the spring 2015 collection for the live-action Cinderella movie? Those were gorgeous. So when the lovely people at Gelish MINI and Morgan Taylor sent me a little box full of goodies I did a little happy dance! Look at these beauties. 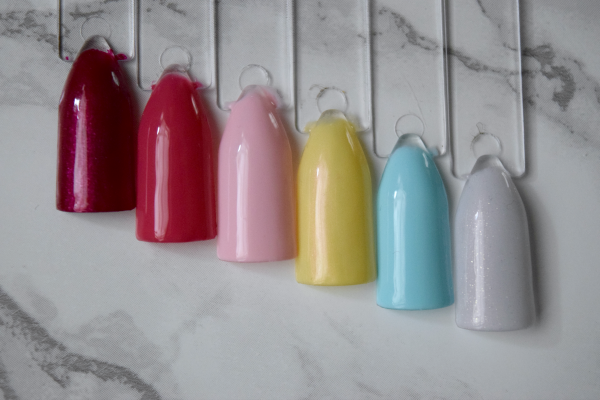 This collection is filled with dreamy shades in red pears and pink and baby blue cremes. Whimsical is a good way to describe it...anyone who wears these will feel like the Belle of the ball. The CEO and Founder of Gelish and Morgan Taylor says "It's extremely wonderful to collaborate with Disney again and create this collection for the movie. We wanted to be honorable guests of this beloved and classic story by developing colors that reflect the beauty that comes from within." Let's take a closer peek at these swoon-worthy shades, shall we? I have to say that when I started swatching these colors on the nail sticks, I may have squealed with joy just a little bit. I thought they looked pretty in the bottles, but that didn't really do them justice. I used the Gelish MINI gel polish to do my swatching and I was quite pleased with the consistency and coverage they provided. Sometimes the lighter gel colors tend to be a little opaque and streaky but that wasn't the case with these at all. Days In The Sun (yellow) and Potts of Tea (alabaster) were probably my two favorites because of their iridescent, pearly hues, but both of them required an extra two coats to give really good coverage and not look see-through. This wasn't a huge deal to me because they are simply gorgeous- Days In The Sun reminded me of Belle's golden yellow ballgown she wore in the movie, and Potts Of Tea perfectly matched the color of Mrs. Potts! You just have to see this collection in person. It's stunning! I'm hoping to do a full review with more swatches of all the colors later to come here on the blog, and I may or may not be planning a fun little giveaway...so check back for that. The Beauty and the Beast 2017 collection from Gelish MINI and Morgan Taylor will be available for a limited time beginning February 2017. Gelish will be available for $12.99 at Sally Beauty. Morgan Taylor will be available for $9.00 at MorganTaylorLacquer.com. 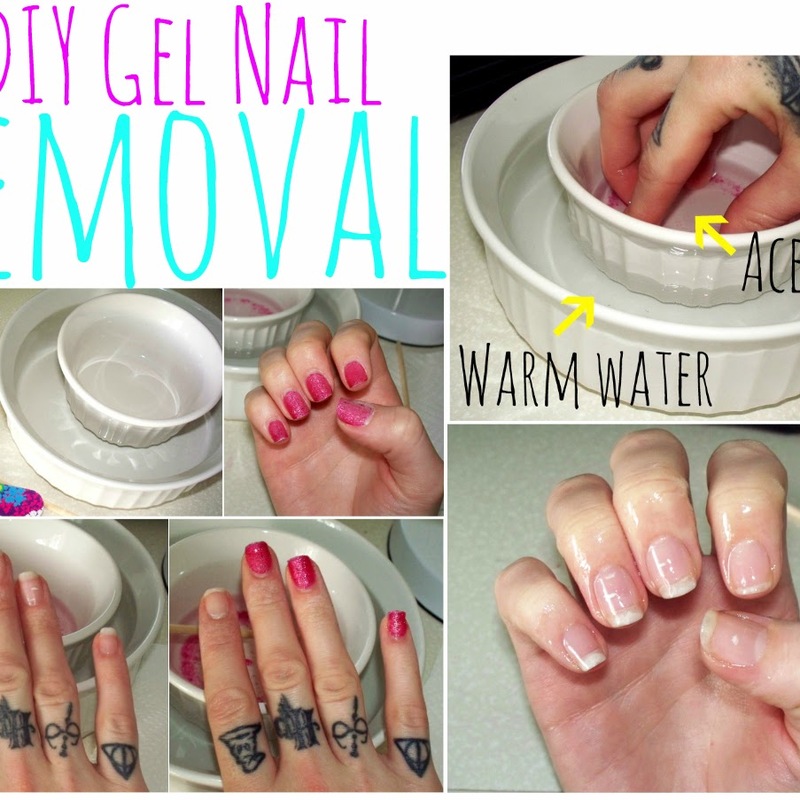 Don't forget, if you need some gel nail tutorials I've got you covered! 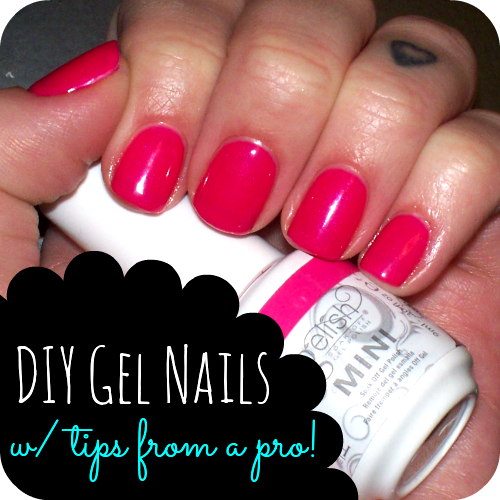 Check out my gel nail series for some of the best, most detailed, picture heavy tutorials out there. I was given these products free of charge from Gelish MINI and Morgan Taylor for reviewing purposes. All opinions are, as always, my own. Jumping off of my last post, today I'm talking about more winter fun. I don't know about anyone else, but I struggle with the word "fun" in the winter because it's always cold, wet, and dreary. It's so hard to find the fun in that, besides Christmas, and sometimes we have to get really creative when it comes to entertaining ourselves when you're snowed in or when it's too crummy out to do anything. 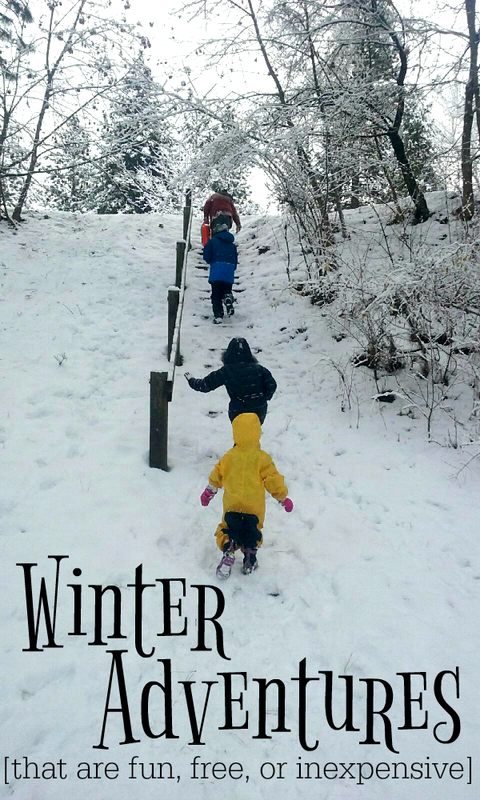 Add a bunch of kids to the mix and you've got a recipe for disaster, so my older kids and I sat down and put our heads together and made a list of fun, free, or really cheap things we could do to fight winter boredom. Hit up your local library. My kids and I love going to the library, and not just for books. They get to browse magazines, check out DVDs, and play educational computer games. We also like to take a peek at the library's schedule for free community events. We've gone to magic shows, carnival nights, and a mini reptile exhibit at our local library and it was all free for any kids and parents who wanted to attend. If you have preschoolers or toddlers you should see if your location does a weekly or bi-weekly storytime. I took my two oldest to storytime almost every week when they were little and they loved it! They'd also sing songs and play little games and get the kids to participate and interact with each other. The library has so many great free services so be sure to look at their schedule (you can usually find it on their website too). Visit a children's museum. Another favorite of ours. Years ago, we invested in a pass to our local children's museum and it was money well spent when you considered how often we went. You can also purchase day passes for fairly cheap, and if you've never been, you should ask about a free day pass for first-time guests to check it out. Some places offer that! Go to a matinee. Or see what's playing at a nearby discount theater. Sometimes they play some really cool older movies, and the snacks are generally cheaper too. Get outside. Build a snowman, grab some Tupperware and make an igloo, go sledding, or play on the playground with your snow pants on! A lot of kids get super bored and really antsy being cooped up inside and not being able to burn off the energy their little bodies need to expel. Bundle up and get outside. Make sure to bring a snack and a drink to stay hydrated! My kids love Fruit Shoot, which has teamed up with Pizza Hut for a great cause- children's literacy. Right now, every Fruit Shoot purchase at Pizza Hut will support the First Book literacy program and help get more books into the hands of children. So make one of your winter adventures a trip to Pizza Hut and help support this great program! You can also find out which of your local grocers carries Fruit Shoot by going here. What are your favorite fun winter adventures? We need some more ideas because this snow is just not letting up anytime soon! 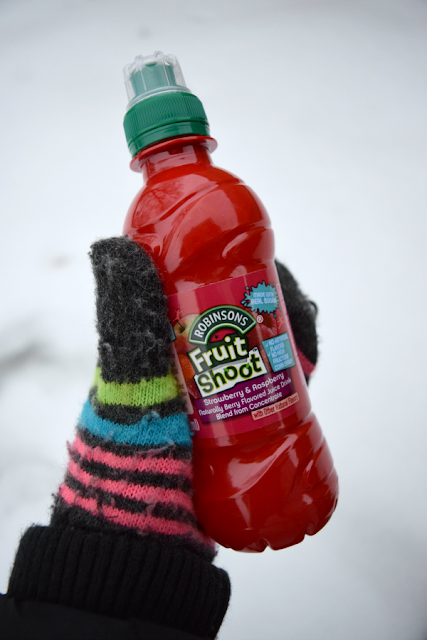 A big thank you to Fruit Shoot brand for sponsoring this post! And thank you to all of my readers for supporting the partners that make this little blog possible. Snow day...now there's a phrase that can strike fear into a mother's heart. It started snowing here last week, and it's been dumping buckets of huge, fluffy, white flakes on us every day since then with no signs of slowing down anytime soon! With about a foot of snow on the ground, I got that dreaded call at 5am on Monday morning. It was the school district telling me school was canceled...meaning SNOW DAY. Why, hello Monday, what a nice wake-up call. I was completely unprepared. What was I going to do with 4 kids all day while we were snowed in? Normally I'd send them outside to build a snowman or something, but with temperatures hovering in the teens, I figured outside play wasn't an option. 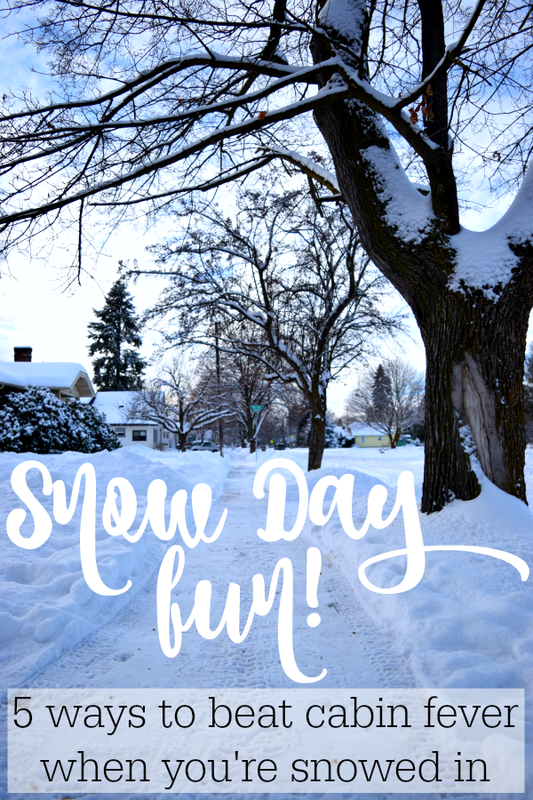 Here are a few of our favorite tried & true snow day activities! Game time. I love me a good old fashioned board game, but any game will do. Of course, my big kids love video games (which I'm fine with, in moderation), but board games, cards, checkers, dominoes, and charades are great options for snow days too. Arts and crafts. Get out the crayons and coloring books for the little ones and grab some markers, glue, scissors, paint, construction paper, glitter, etc. for the older kids and make something crafty. Better yet, grab some coffee filters or white paper and show them how to make snowflakes by folding and cutting. Hang them up in the windows and on the walls and make it a snow day inside too! Curl up with a good book. If you're looking for a more quiet activity, books are the way to go. My kids love to read so this is an easy one for us! Grab a fuzzy blanket, a book, and maybe even hope it leads to a nap too. Build a fort. Take the cushions off the couch and grab some big sheets or comforters and have your kiddos help you transform your living room into an awesome fort! This usually occupies mine for a few hours, as they are constantly finding new, creative ways to keep their fort from collapsing and they are always trying to expand and make it bigger/better. It really gets their brains going! Make it a movie day. When all else fails, pop in your favorite family movie, grab some yummy snacks, and pile on the couch (or in your fort) together for a movie day. Our go-to snack of choice is always Goldfish crackers! I love them because they are baked with real cheese and contain no artificial flavors or preservatives, and my kids love them because...well, they're yummy. Goldfish crackers are a staple in this house and they are a snack I can feel good about feel good about giving my kids. I love them too! 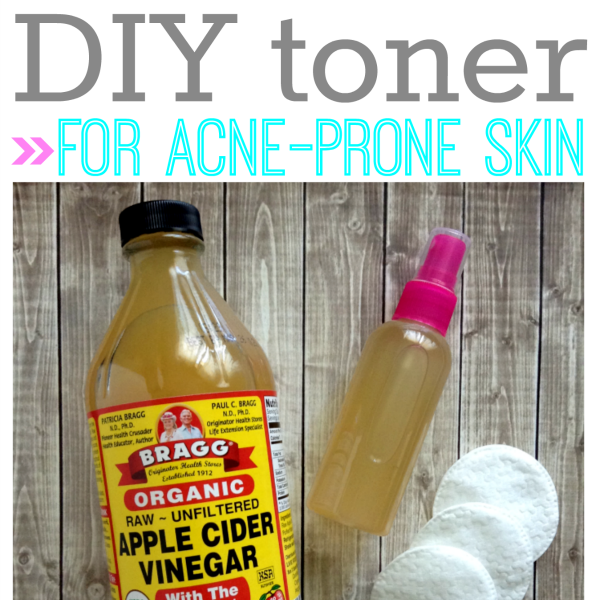 Need another fun snow day activity? How about a chance to win $5,000? Help your kids create a fun stop-motion video featuring Goldfish crackers and submit it here for your chance to win! Never made a stop-motion video before? Don't worry, there's plenty of inspiration here and a fun tutorial here to help you get started! Check out GoldfishSmiles.com for more contest details. What's your favorite thing about snow days? What do you do when you're snowed in? I'd love to hear your ideas because this snow is not letting up! 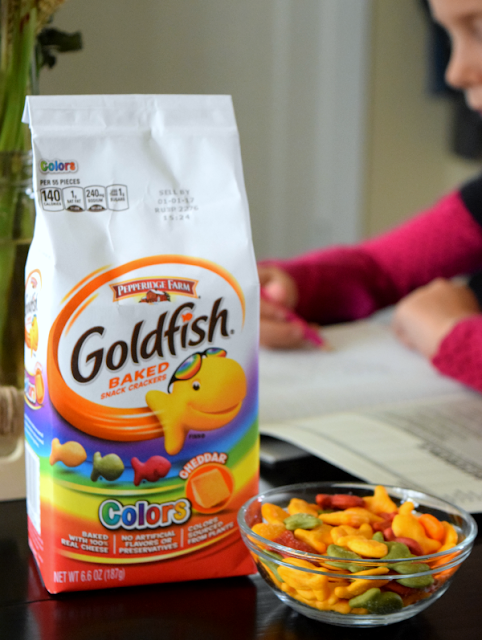 A big thank you to Goldfish brand for sponsoring this post! And thank you to all of my readers for supporting the partners that make this little blog possible. 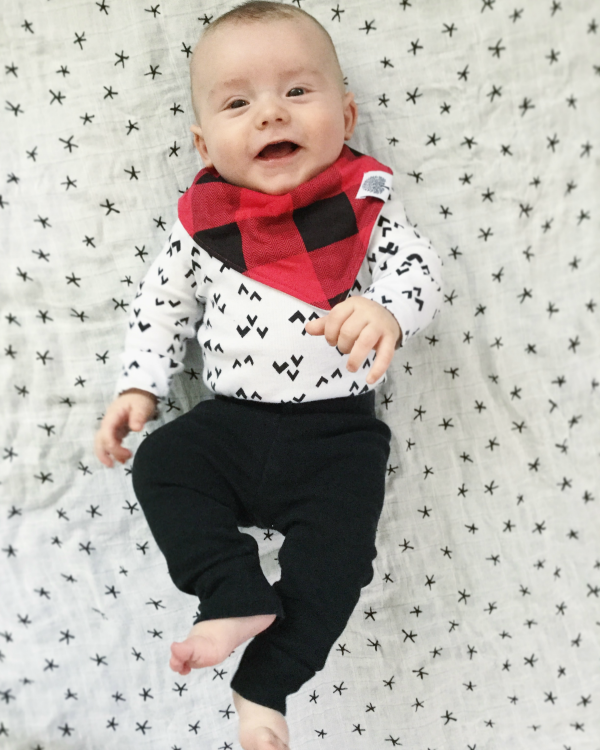 When I found out I was pregnant with baby number four, one of the first thoughts that went through my head was "I'm going to have two kids in diapers at the same time." My entire pregnancy I kept thinking about how expensive it was going to be. I thought that maybe I'd be able to potty train Harper before Josiah was born. When that didn't happen I started to panic. Two in diapers. How much was this going to cost? The math was daunting. I wasn't sure how I was going to manage changing that many diapers in a day, let alone keep enough stocked in the house so I wouldn't run out, all while on a budget. We're now four months into this baby and a toddler thing and I've learned a thing or two about having two kids in diapers at the same time. 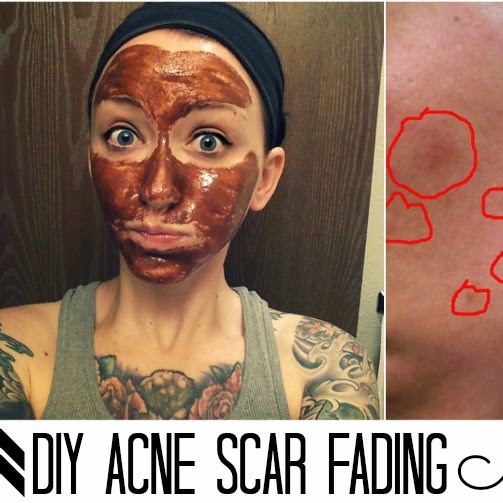 Here's how I saved my sanity! Stock up & save. My biggest piece of advice when it comes to buying diapers for two is to stock up. First of all, you save money because buying in bulk is always cheaper. 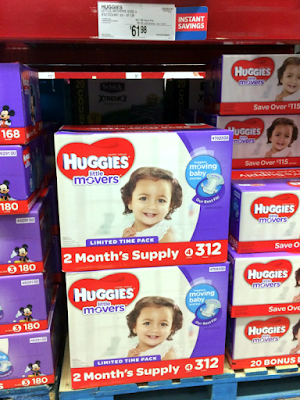 Sam's Club has the absolute best deal to help build your diaper stockpile with their new biggest pack ever of Huggies® Little Movers diapers. This gigantic box is a full 2 month supply! Which brings me to my second point- stocking up saves time. No more running out to the store every week when you run out of diapers. No more asking my husband to swing by the store and pick up a small pack of diapers after work (thus spending more on extra trips to the grocery store). No more bundling up in freezing weather with all 4 kids and a cranky baby when I run out of diapers in the middle of the week. 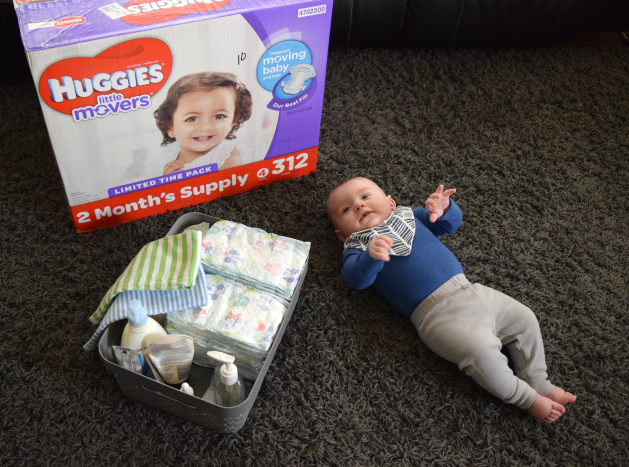 I don't know about you, but running errands with two little ones is something I absolutely dread, so stocking up on a two month supply of Huggies® Little Movers is the way to go! Change them at the same time. When I can, I try to change both kids at the same time. Obviously, this isn't going to be the case for every single diaper change, but most times if I'm changing the toddler I should probably change the baby too, and vice versa. Otherwise, I find myself making dinner wondering and wondering if Harper had her diaper changed after her nap 3 hours ago. These kids keep me so busy I can't keep anything straight, so getting both done at the same time totally saves my sanity. Make multiple changing stations. I find myself changing diapers all over the house. On the living room floor, on the changing table in the baby room, on my bed in the middle of the night, etc. I hate having to run back and forth to get the diapers and wipes every time, so making a little changing station with all of the necessary supplies in every room is a must! I keep a little basket in the living room with diapers, wipes, rash cream, lotion, hand sanitizer, extra pacifiers, burp cloths, nail clippers, and other essentials. I also keep a little stack of diapers, wipes, and hand sanitizer in Harper's room and in my bedroom too so that I'm not running up and down the stairs in the middle of the night when the baby wakes up. One last tip: when you're stocking up on diapers and prefer to avoid lines and crowds at the store with children in tow, Sam's Club has your back. Another perk of the Sam's Club membership is FREE shipping on select baby and household items. Right now, the Huggies® Little Movers 2 month supply has a $6 instant savings coupon that works in stores and online and will ship it right to your door for FREE! That's 312 diapers for less than 20 cents a piece! To find your nearest Sam's Club and get this $6 instant savings coupon go here! Save your sanity and your money and stock up with the biggest pack ever. A big thank you to Huggies® for sponsoring this post! And thank you to all of my readers for supporting the partners that make this blog possible. I hope everyone had a safe and happy Christmas season and rang in the new year with friends and loved ones. 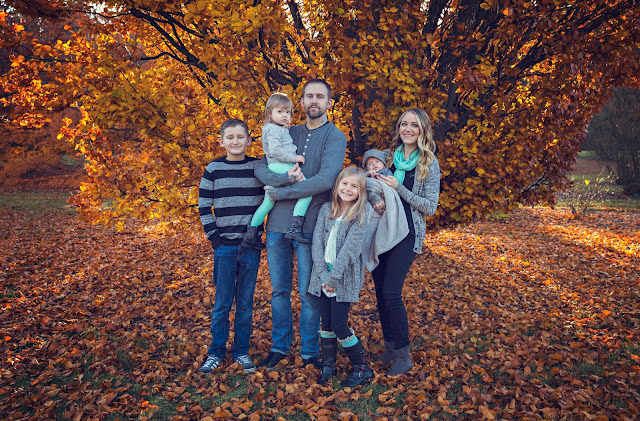 I decided to take the entire month of December off from blogging so that I could relax and spend some stress-free time with my own family and I'm so glad that I did. It's no secret that I've been feeling a tad bit overwhelmed, what with the new baby and all. I needed some time to unplug and just be a mom for a while and not worry about creating content for my blog and trying to meet deadlines. Here's why. A few weeks ago I ended up going in to see my doctor. I've been under a ton of stress lately and I'm just not handling it very well at all. Josiah is 4 months old now and is still a horrible sleeper who wakes up every 2 hours every night. Most days he's a horrible napper too, only giving me 20-30 minutes to try to shower, throw in a load of laundry, make dinner, etc. It's been awful. On top of that, my rambunctious 2 1/2 year old is doing this awesome thing where she screams at the top of her lungs when you don't do what she wants, so while I'm juggling an unhappy baby, I also have what sounds like a pterodactyl following me around screeching at me. Fun times! Anywho, my doctor confirmed that I have some postpartum anxiety and depression going on and I'm trying to do what I can to lower the stress in my life. 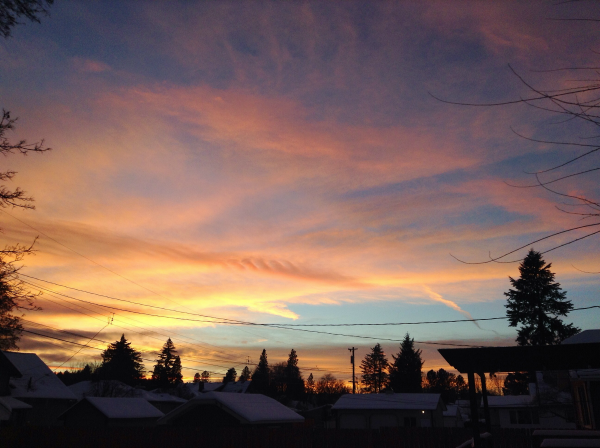 My husband suggested I quit or take a break from blogging and I begrudgingly agreed. Blogging has become more of a chore to me lately as my lifestyle and family size has changed and grown over the years. 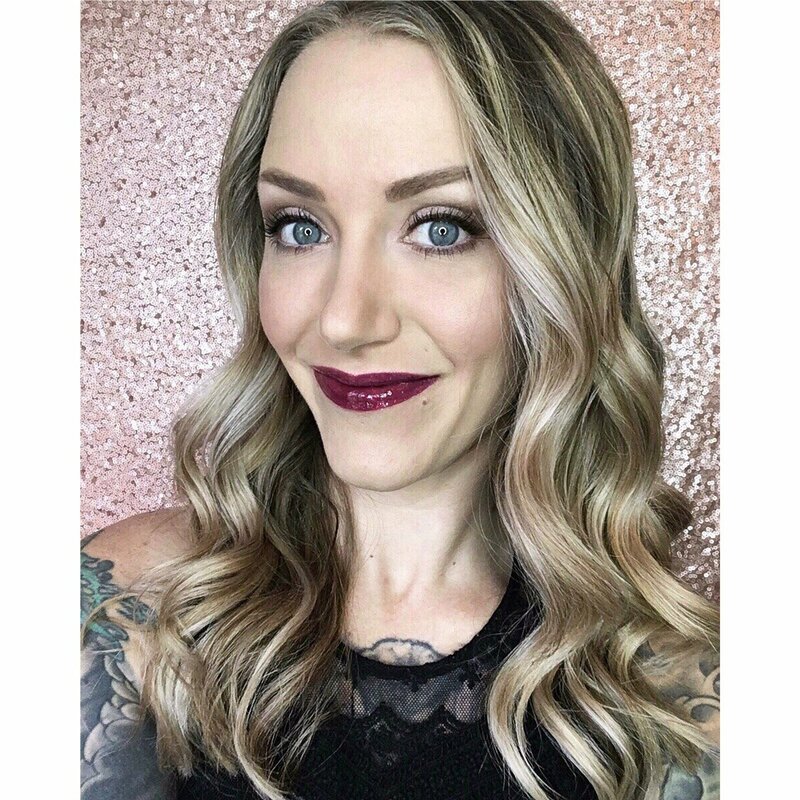 When I first started blogging I was just a bored stay at home mom with 2 really easy little kids and a ton of free time on my hands. Life was much simpler back then and I had time for things I enjoyed and had all kinds of time to work on my blog. Nowadays not so much. The amount of children I have has doubled and our lives have become so much more crazy and hectic as a family of six. Gone are the days when I actually had time to sit on my sewing machine for hours, whip up a craft, or read for fun. Now I have absolutely zero time for anything that isn't related to housework or keeping a child alive. Add trying to run a blog to that and you've got one stressed out mom-zilla and a husband and four kids who are sick of being yelled at. So the break was much-needed. However, as much as I loved my little work vacay, I also missed it. I've been doing this for so long now that it feels weird not to do it. I still have ideas in my head that I want to get out. I really enjoy writing my feelings out...it's so freeing. I love sharing my thoughts with other people. I just love to talk, really. Anyone who knows me knows I talk a lot. I'm wordy. And I love the little blogging community that I'm a part of. So while I was on my break I decided that I'm not ready to give it all up just yet. I'm going to continue to blog, but maybe not quite at the fervent pace I was once at. Trying to keep up with the old me and my old blog is silly because I'm not the same person I was back then, nor am I in the same mentality. I need to refocus a little and set my pace for the new normal and just be OK with that.